There’s a fundamental difference, if you look into the future, between a humanity that is a space-faring civilization, that’s out there exploring the stars … compared with one where we are forever confined to Earth until some eventual extinction event. Elon Reeve Musk (born June 28, 1971) is a South Africa-born, Canadian-American entrepreneur, engineer, inventor and investor. 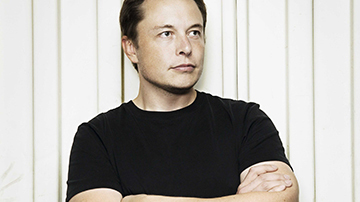 He is the CEO and CTO of SpaceX, CEO and chief product architect of Tesla Motors, and chairman ofSolarCity. He is the founder of SpaceX and a co-founder of PayPal, Tesla Motors, and Zip2. He has also envisioned a conceptual high-speed transportation system known as the Hyperloop. Elon Musk is a Visionary. Elon Musk is an Intellectual. Elon Musk is an Explorer.